KITCHENER – New York rapper and G Unit member Lloyd Banks and his three-man crew remain in jail following a brief court appearance in Kitchener Monday after a music promoter was allegedly held against his will, robbed and beaten in a local hotel room early Saturday. The rapper, an associate of famed hip hop artist 50 Cent, and his three group members appeared in Kitchener provincial court Monday afternoon. They were remanded in custody until Tuesday. Before they can be released, the American citizens must pay a bail amount of $125,000. Lloyd Banks, 27, who’s real name is Christopher Lloyd, must pay $50,000, while the three other members must pay $25,000 each. The other members include a back-up singer and a road manager. Also charged are Tyrell Cooper, 24, Nicklas Sloane, 25, and Shaun McGee, 31. The men, who are at Maplehurst Detention Centre in Milton, cannot be released until the money is sent to the courthouse via a bank draft, said Kitchener lawyer Brennan Smart. Smart was representing Banks and his associates on behalf of Windsor lawyer Pat Ducharme, who had been asked by an American lawyer to represent Banks and his party. The members of the hip hop group, G Unit, are charged with forcible confinement, aggravated assault and robbery. A publication ban prevents evidence presented in court from being published. Sgt. 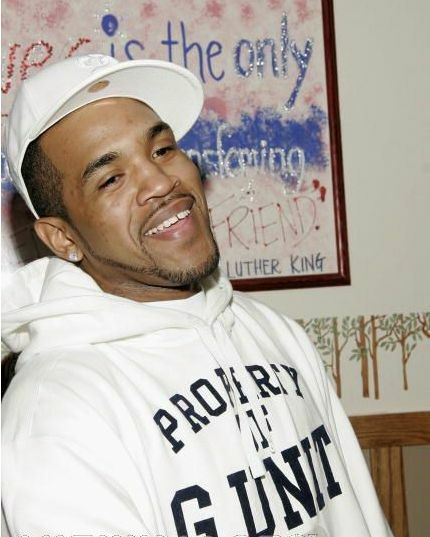 Brad Finucan of Waterloo Regional Police Criminal Investigations branch said an alleged violent altercation ensued between G Unit’s Lloyd Banks, his three associates and a music promoter at a concert at a night club in Brantford Friday night. Lloyd is originally from the Queen’s area of New York City. G Unit Lloyd Banks has been to Canada many times for concerts, Finucan said. Finucan said there was a dispute over a performance and appearance fee charged the rappers at Club NV on Colborne Street in Brantford. The fight started at the club and continued at the Kitchener hotel early Saturday. Police were called by another booking agent. Finucan said the victim, a 36-year-old Toronto man, was punched and kicked in the head and face, robbed and held for an hour in the hotel room. He was treated for head and facial injuries and released from Grand River Hospital for serious but non-life threatening injuries. The four men were held in custody over the weekend and appeared in court by video on Sunday. Smart said the rap group was in Canada on a work permit that expired Sunday at midnight. Smart said the rappers could be held for an additional 48 hours after their release or they could face more charges stemming from the work permit which immigration officials believe has been violated. Under the terms of their release, the G Unit members cannot come to Canada except for scheduled court dates relating to the charges or meeting with their lawyers. They are also forbidden from possessing weapons.